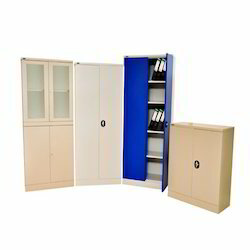 We are ranked as the noteworthy manufacturer, exporter and supplier of Office Wardrobe-Furniture. 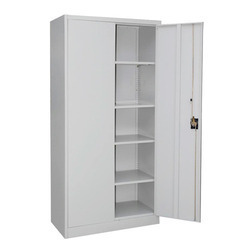 The offered Premium Office Wardrobe furniture is manufactured by our professionals using top-notch quality material and high end techniques in conformity with globally accepted norms of quality. The company is a prominent Manufacturer and Supplier of Office Almirah. Our Almirahs are space saving units that provides safe and convenient storage of office materials. We maintain a large stock of the Almirahs in our state-of-the-art warehouse, to meet the bulk and urgent requirements of the buyers. RDS Enterprise has a wide range of office Almirah that come with multi option shelves that make segmentation easy and reliable. Our Almirah units use high-grade premium quality raw material and are marketed in various dimensions, designs, styles, and chrome finishes. We imbibe quality features like durability, dimension accuracy, and corrosion resistance into our products. We manufacture storage for almost all needs of your office and institutions. To have customized storage solutions, please fill in the form or feel free to call us. We also deal in Steel Almirah Without Locker.